Every once in a while a shot just sneaks up on you when you are least expecting it. Tripped over this shot while walking through the Hilton Convention Center hotel on a Saturday photo trek. This is actually the second of two images from this scene. In the first image (not seen here) I captured a wider version of the scene and a window in the background behind the bar stools. 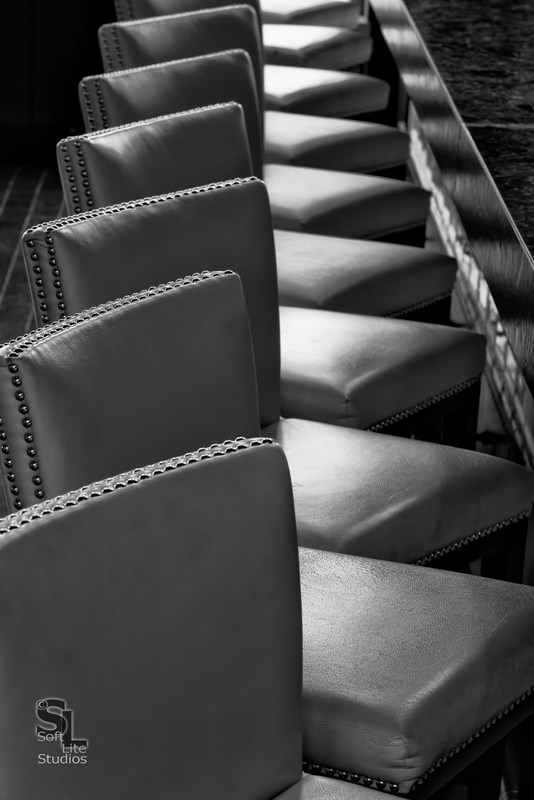 In reviewing the first shot, I felt like the lineup of the chairs was not clearly showing as the subject in the image and the dynamic range was being pushed too much. In this, the second version of the scene, I tightened up the frame to leave the window out, thus reducing the dynamic range in the resulting frame and giving the image an overall tighter crop. I feel this second version is a much more compelling final result.